My first encounter with TWG’s (The Wellness Group), a Singapore-based tea company, tea was really when I was on a staycation at Moevenpick Heritage Hotel Sentosa last weekend. 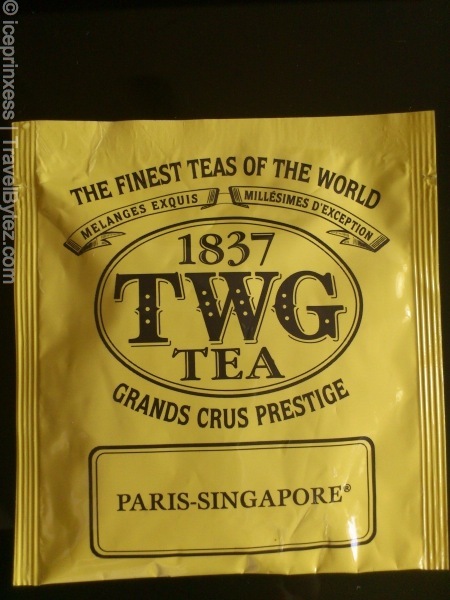 TWG’s Paris-Singapore Tea is the first tea that I have tried from this brand. 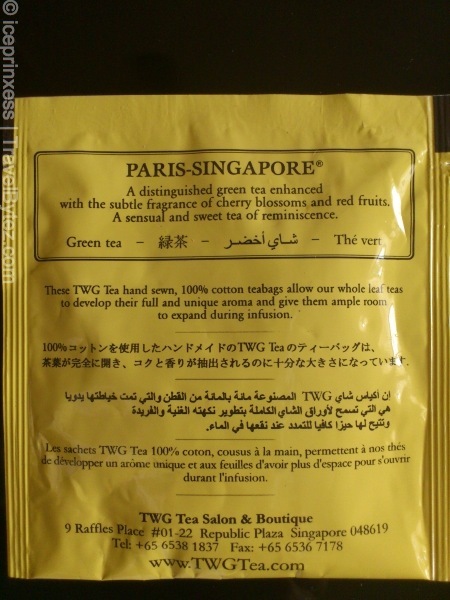 TWG describes its Paris-Singapore tea as a “distinguished green tea enhanced with fragrant cherry blossoms & red fruits. A sensual & sweet tea of reminiscence”. True to its description, the Paris-Singapore tea has a very strong aroma of cherry (something that somehow reminds me of medicine, unfortunately), that I failed to taste the other ingredients (what other red fruits?). Perhaps if you love cherries and/or happen to like the combination it would be a nice tea and worth a try. One thing to note about the tea bags is that they are different from your regular tea bags: they are more porous, being made of 100% cotton and hand sewn, allowing the tea more room to flavor your hot water. It works well, just that I really didn’t like the strong cherry flavor and maybe because I am not a tea connoisseur that I cannot appreciate this tea. 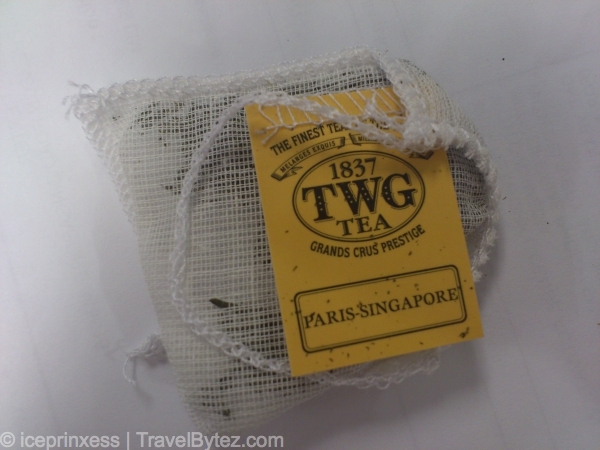 Although I didn’t really like the Paris-Singapore tea, it wouldn’t stop me from trying TWG’s other tea flavors and find one that I would actually want to buy. For now, I will stick to complimentary ones…. ^^ What is your favorite tea?